Yep, i've nearly finished mine. Will be printing it out and going over it with highlighters and pens to find all the internal and external conflicts, make sure it's only following the internal growth of each character but including enough punch to grab the editor's attention. Tough. 1. The setting -- specifically where does the action take place? 2. The main characters -- what are their major motivations or conflicts both externally and internally. 3. After the magic words, When the novels begins, you tell your main story. 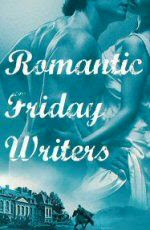 If this is a romance, you are telling of the growing attraction and the set backs the couple encounters on the way. If it is a saga, you are telling the story of one woman’s growth arc..
5. The Resolution, the happy ending. Tell the editor how the story ends. Ooo almost done now! Do you have a 'D' day picked out? Yep it's the 15th Dec, for the SYTUCW challenge! How is your Cooper going?